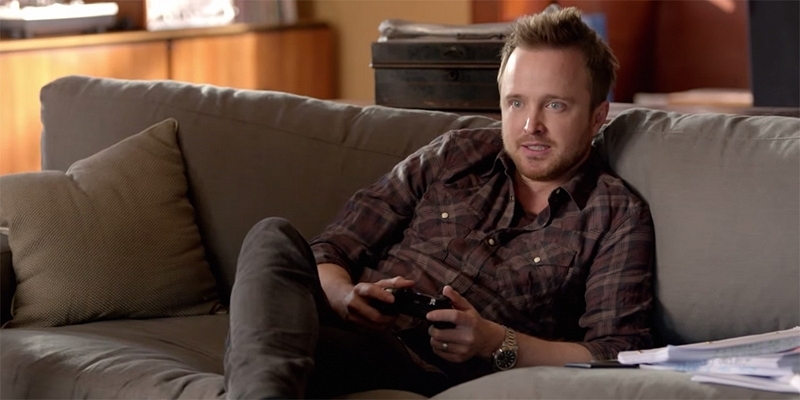 Microsoft’s new Xbox One commercial was sure to get some attention simply because it stars Breaking Bad’s Aaron Paul. But the ad, which highlights the voice commands of the Kinect (never mind the fact that it promotes the new $399 Kinect-less version of the console), is drawing more attention than Microsoft may have bargained for. As you can see in the clip below, Paul shouts out a number of Xbox One commands to his Kinect. The problem, however, is that when Paul says “Xbox on” at the beginning of the ad, he is inadvertently turning on the consoles of those watching the commercial at home. Just to be clear, the glitch isn’t happening with every Xbox One but it’s enough to get us wondering. Did Microsoft intend for this to happen or is it a simple oversight? If it’s the latter, I suspect we will see Microsoft pull or edit the commercial in the near future. If not, gamers should gear up to be annoyed for a bit longer. This isn’t the first time that the always-listening Kinect has been put to “good” use. Earlier this year, a clever YouTuber registered the Xbox Live gamer tag “Xbox One Sign Out.” The idea was that, anytime someone gets angry with you during a game, they’ll shout out your gamer tag. Go around trolling people for reactions and you’ll get just that. Absolutely hilarious!